I know I’ve talked about this before, but I am one of those people that, at times (okay maybe more like once a day), struggles with decisions. Now, don’t get me wrong, I’m actually a pretty fast decision maker and I walk into my decision with a supreme amount of confidence… whether I should or not. In other words, I’m one of those “act now, think later” kind of gals. But what causes me to struggle is how overwhelming decisions can be at times. Which, is the 100% reason why I just make a quick decision and move on with it… because if I focus too much energy on it I get extremely overwhelmed. 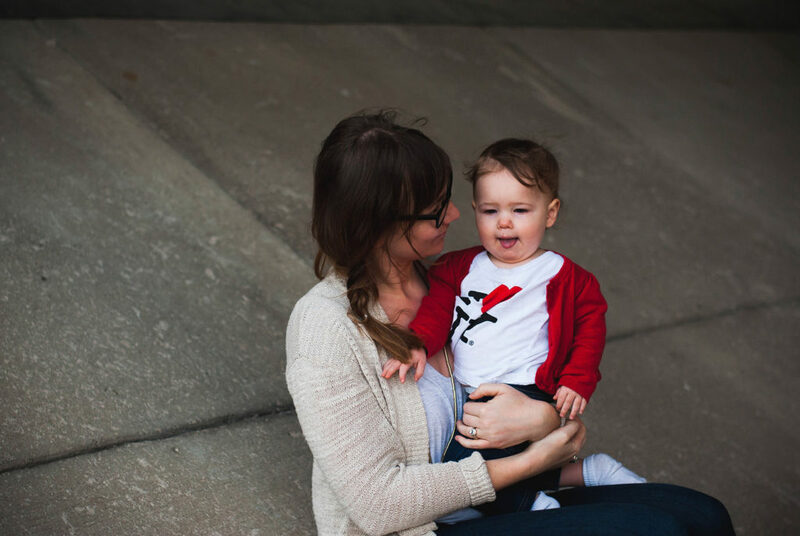 So you can imagine when Kit came along, I was so incredibly overwhelmed with just keeping her healthy that when it came to making decisions about baby gear I just kind of went on auto pilot and made decisions without doing any research. Folks, that really did not work to my advantage. First example: Kit was a little early and was a very small baby so we had to do a car seat test. Because we didn’t have the newest version of infant carriers, we had to go out and buy a new one while we were still in the hospital! 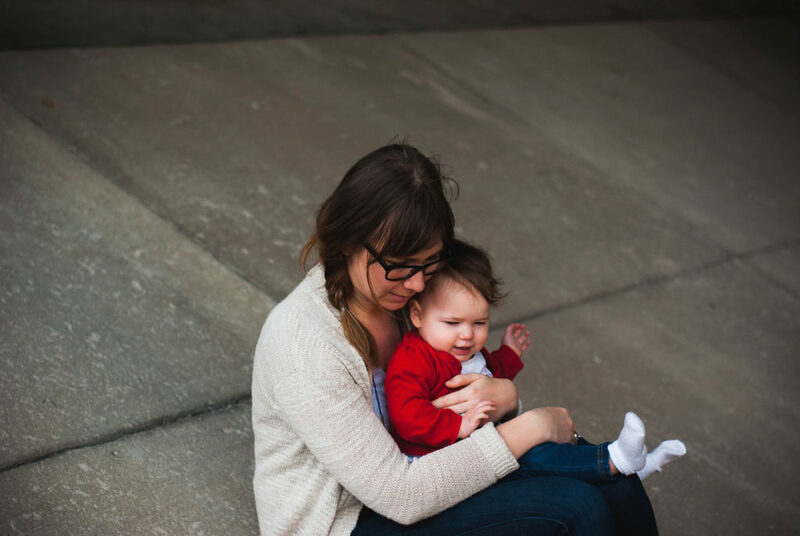 The seat didn’t support her because she was so tiny AND it had been recalled. Whoops! Second example: the stroller. 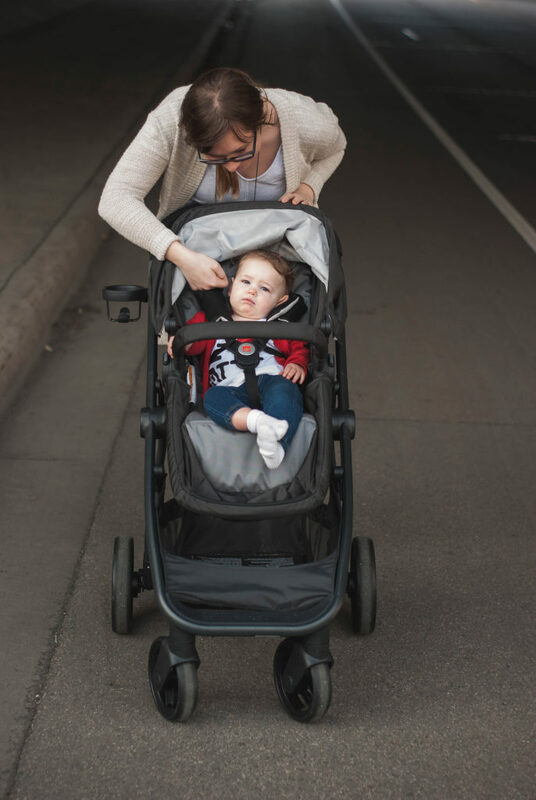 We ended up settling on a jogging stroller because I was “going to be” running marathons with her in that stroller (for the record, I ran 1/2 a mile with her one time when she was two months old). That 1/2 mile showed me that a jogging stroller was simply not needed and was actually quite bulky to take around in public places. I’m a bit of a wallflower that likes to blend in when I’m in public, so running into 10 people on the way to my end goal was a bit much for me. When it comes to baby gear, a little research is probably a good idea. Okay, it is a good idea. 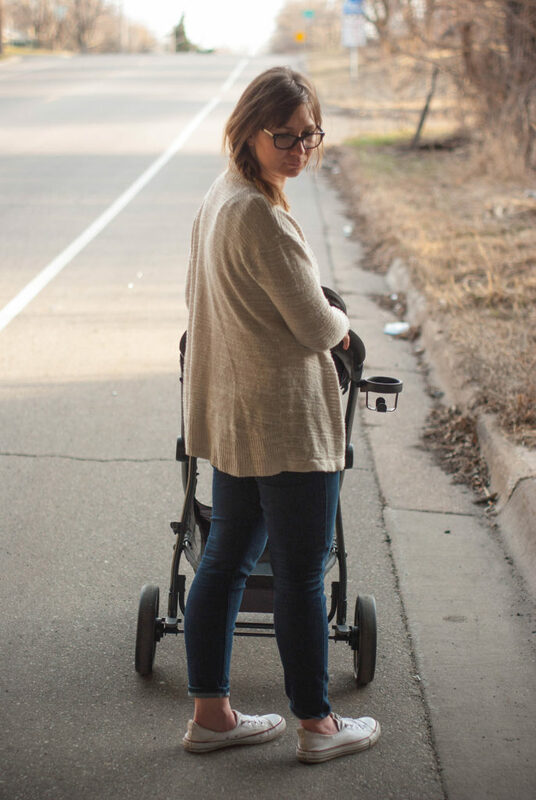 So when I was recently given the opportunity to review the new GP Lyfe Travel System, available at Babies R’ Us, I thought why the heck not? What we have now isn’t really working for us so it can’t be any worse than that! But you know what? I love it! I really do. Sometimes having baby gear with a few extra bells and whistles is totally worth it. What I love most about it though is that you can adjust it for your needs. When Kit and I are out and about spending time together, I can turn her so she’s facing me and that way I feel like we are still interacting even when we’re running errands. Or sometimes, Kit naps in her stroller and so it’s nice that the pram style allows me to lay the seat down so she can get comfortable. Plus, it was a cinch to set up and fold down, which is really important for me. Our old stroller was a huge pain to fold down. And it has a much smoother ride than our jogging stroller had. 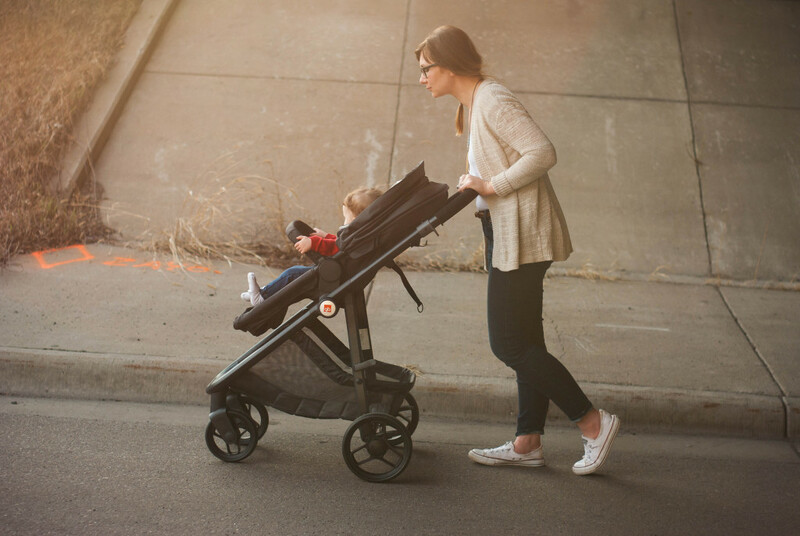 The wheel rotation is out of this world (I’m a little bit of a nerd about things like that and it brings me great joy… no more struggling to get in and out of doors because your stroller wheels are locking up. Huzzah!)! All of this to say… do your research. Know what you’re buying before you buy it and choose quality over easy and cheap. This messaging is not new to you if you’ve been reading my blog for awhile, but here I am, still surprising myself with it. Turns out that message can apply to a lot more than just clothing. I do this too. I drove almost an hour to put my nearly 4-year-old in a booster seat just so I could see her in it. I still didn’t buy it. I’m so conflicted! I don’t jog with my stroller but I’m glad I got the fancy jogging stroller because it does great on our rural gravel roads and even across pasture to grandma and grandpa’s house sometimes! So true. I don’t have a child, but in different areas of my life I tend to do a lot of research and choose high quality products as well. I’m learning to do so Crystal! It’s definitely a mindset shift! I know!? It seriously is so great!